The Altar Society provides service to God through maintaining the altars of the church and the social welfare of the women of the parish. The Altar Society also provides financial support for the parish and school wherever the need is greatest. 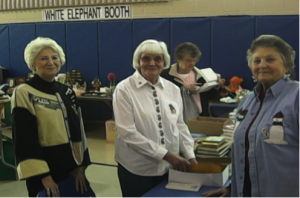 Some of the activities include the Christmas Bazaar in November, the spring and summer rummage sales and the annual Mother-Daughter Breakfast in May. All are welcome to participate, and volunteers are always greatly appreciated during set-up and tear-down at events. Please check the bulletin for dates and volunteer information.